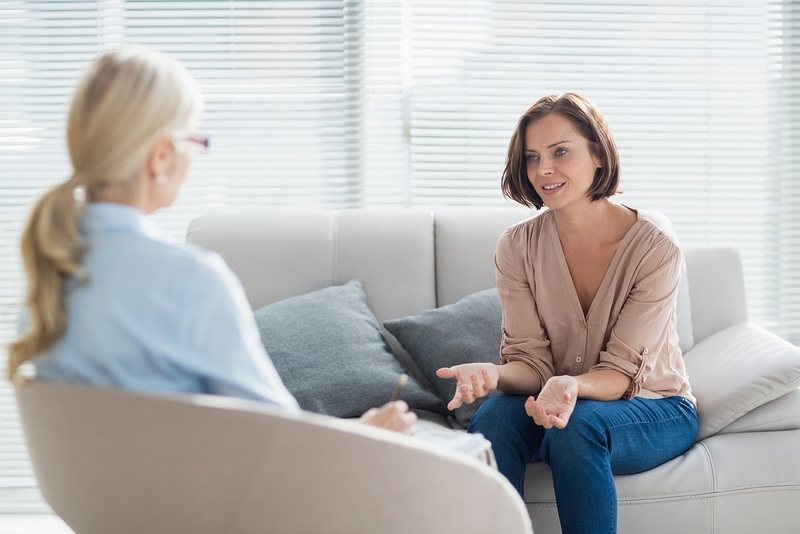 Cognitive Behavioural Therapy (CBT) is a talking therapy and one of the most commonly used methods for treating various mental health issues. CBT addresses negative patterns in the way we think and helps overcome dysfunctional thoughts, behaviour and emotions. Cognitive Behavioural Therapy is a short to medium-term psychological treatment. It is pragmatic and goal oriented to provide individual with long-term skills and keep them healthy. The focus of CBT is mostly here and now and helps people to look at how they interpret and evaluate what is happening around and inside them and how these perceptions affect their cognitions/emotions/behaviours. Childhood experiences might also be reviewed to identify and better understand repetitive patterns in individual behaviours. According to Cognitive Behavioural Therapy the way people feel is linked to the way they think about a situation and not simply the nature of the situation itself. These ideas are rooted in ancient philosophers and become core part of the approach developed in the 1955 by A. Ellis and few years later in the early 1960s by A.T Beck. Both considered pioneers of the cognitive behavioural approach. Aaron T Beck described in details the negative thinking patterns associated with depression. Those could be critical thoughts about self (self-criticism – e.g. I am no good, Nobody likes me etc. ), about the world (general negativity – e.g. life is a disaster, etc), and about our future (hopelessness – e.g. I will not succeed, I will happen again, It will be a disaster, etc.). These negative thought patterns maintain the depressed mood. With CBT you learn to identify and challenge the thoughts, attitudes, core beliefs related to your issue. CBT is a holistic and pragmatic approach and will support you in understanding also your emotional life and behaviours. The therapist will work with you on setting realistic and measurable goals and will enhance you with a set of copying strategies. The course usually lasts between 6 weeks to 6 months, and depends on the type of the problem you have. Therapist will discuss with you what issues you want to deal with in the short, medium and long term. Normally you will have a 50-minute session once a week. Your therapist will give you some useful exercises and suggest coping strategies for you to try between the sessions. You will then discuss how you got on during the week in your next session. What conditions can CBT treat? CBT is an effective treatment for many psychological conditions, including: mood disorders such as depression and bipolar disorder; anxiety disorders including phobias, panic disorder, social phobia, generalised anxiety disorder, obsessive-compulsive disorder and post-traumatic stress disorder; body dysmorphic disorder; substance use disorders (i.e., smoking, alcohol and other drugs). It can be effective to reduce and manage symptoms of psychosis when in used in conjunction with drug treatments. It can also be effective with sexual and relationship problems; insomnia; chronic fatigue syndrome; chronic (persistent) pain and long-standing interpersonal problems.